Based on a beauty trend that combines technology with a sense of wellbeing, inspired by the luxury and the power of the elements: it creates timeless looks that unite the full power of nature. Organic and powerful color nuances and fresh green tones are accentuated with delicate pearlescent and pastel shades for a pure style. Organic surface structures; high-quality, sustainable materials and innovative packaging decoration technologies; small aesthetic imperfections in the pattern and material - these define the designs from Kiss the Nature. High-precision applicators and the latest innovation in molded brushes are paired with innova-tive packaging decoration technologies. 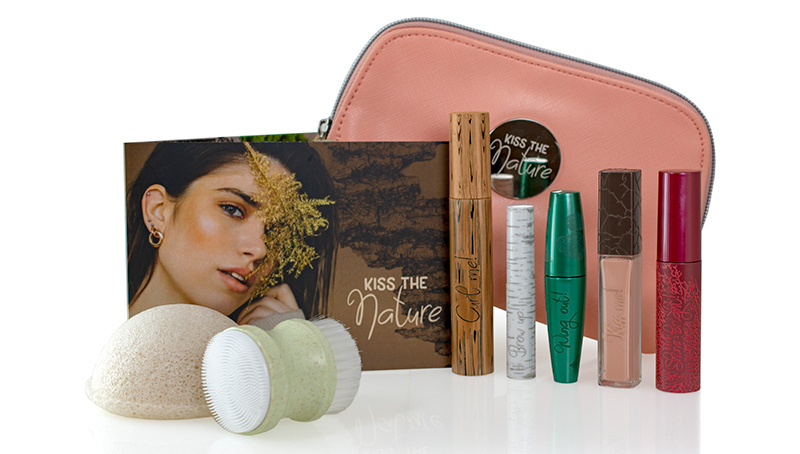 The Kiss the Nature collection consists of five colored cosmetic products - a mascara, an eyebrow product, an eyeliner, a lip gloss and a liquid highlighter - and is completed by a makeup bag and two skincare products. The mascara includes GEKA's new star among molded brushes - the bi-injected brilliant eyes brush in a curved design made with GEKA's patented Sandwich technology. The two-shot technology produces a stable brush core surrounded by flexible and soft bristles. The curved brush shape is perfectly adapted to the lash line and coats every lash in an instant. It picks up every single lash and carefully bends it into a curl from base to tip. The outstanding packaging decora-tion is achieved by laser technology: the 360° wood optic is inspired by nature and creates a highlight at the POS. The face gets the perfect frame with GEKA's new dewdrop-shaped brow performer brush for a professional brow treatment. It is made of the bio-based green line fiber - a fiber consisting of 100% renewable raw material from the castor oil plant. The extra-small brush diameter enables exact application and accurate shaping, filling and defining of the brow contour. Its pointed tip allows for easy accentuating of the brow shape for a flawless look that stays all day. The trendy travel-size packaging in birch design with a 3D haptic effect uses innovative laser decoration for an eye-catching packaging appearance. Wing out! An open and clean look is created by applying liquid eyeliner in a pastel green color shade with GEKA's definition liner. 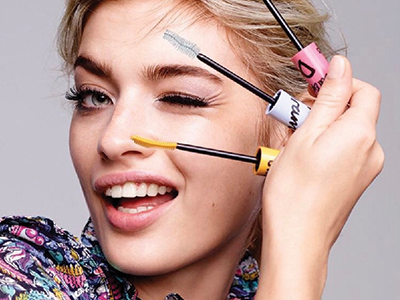 An applicator as soft as a brush and as precise as an eyeliner tip for an intense look. The flocked eyeliner applicator provides a threefold effect: It is simple to apply, simple to control, and simple to guide. The packaging decoration shows two possibilities for laser decoration: Embossed structures on the cap and a debossed leaves pattern on the bottle. Apply superfoods to the lips with GEKA's lipstick applicator paired with a formula based on natural castor oil, natural beeswax and vitamin E for extra care and anti-aging effect. 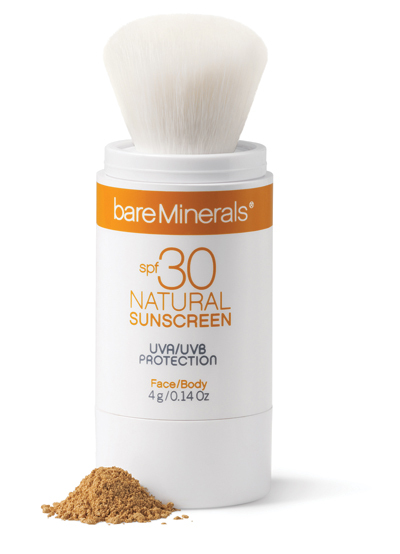 Because of the applicator's ergonomic shape, it distributes product evenly to the lips for streak-free makeup results. The large application surface enables a comfortable but defined application. The lip gloss creates a dazzling high-end effect. It has a shimmering hot foil printing in earthy shades upon the heavy-walled, four-edged bottle. The cap is decorated with the new laser technology in an abstract design reminiscent of dry, cracked desert soil. Cheeks and brow bones can be emphasized fabulously and shine brightly with GEKA's liquid highlighter, which creates the perfect final touch for the makeup. The applicator is slightly flat-tened on the sides to precisely define inner eye corners, cheeks or under the brow bones. In-spired by the organic surface of corals, the packaging is vibrant in color with an amazing haptic 3D effect. It offers high-precision botanical structures and allover decoration created by innova-tive laser technology. Kiss the Nature is completed by skincare products from the GEKA Accessories product line: a mini dual-ended facial brush made of 25% recycled wheat straw to clean the face and to re-move dead skin cells as well as an aloe vera konjac sponge that massages and moisturizes the body skin and provides a natural and healthy glow. The makeup bag combines sustainability and glamour. It is made of recycled plastic; is vegan and biodegradable; and contains no PVC, azo colors or phthalate.